Gina is our surgical and clinical services manager. In this role, Gina coordinates our team that provides clients with cosmetic enhancements including surgical procedures, laser treatments, and skin care. Before joining Dr. Vanderpool, Gina worked for 11 years as a Registered Nurse and manager, which taught her the importance of patient safety and the value of patient satisfaction. Gina is an active member of the Association of Peri-Operative Registered Nurses. She received her Bachelor of Science in nursing degree in 1998, and in 2006 earned a Master of Business Administration in healthcare management degree from Brenau University in Georgia. Gina helps Dr. Vanderpool’s clients to feel at ease and comfortable. Exceeding our client’s expectations is Gina’s priority. In 2008, Gina relocated to beautiful northwest Arkansas and lives in Rogers with her husband and their two children. When not working Gina enjoys jogging, reading, and trying out new recipes from her favorite chefs on the Food Network. Wendy has worked for Dr. Vanderpool since 2007. She has been a nurse since 1995 and has experience in pre-op and recovery. Wendy enjoys meeting with the patients and putting them at ease throughout their surgical experience. She lives in Gravette with her husband and twin girls. Wendy enjoys traveling, spending time with family, and playing tennis. Leigh Batt moved to the Fayetteville area in 2007 with her husband, three kids, two dogs, a rabbit and one horse! Her responsibilities are to reflect the caring nature of Dr. Vanderpool and his staff by meeting the needs of our very important clients. A fun, pleasant experience is what she strives to provide when you first walk in our door! She is highly energetic and loves being outdoors, traveling to exotic places, and meeting new people! 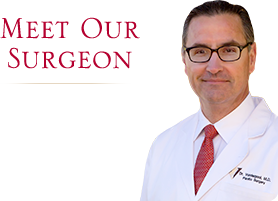 Dean Watts has been with Dr. Vanderpool since 1999. She is a life-long resident of Arkansas and now makes her home in Springdale. She has over 18 years experience in the medical field, the last 11 years being in plastic surgery. She enjoys assisting patients from the time they schedule their surgery through their complete recovery. In her spare time, she and her husband enjoy spending time with their extended family, and both are avid Razorback baseball fans. Missy’s caring attitude and outgoing personality are treasured in our office. As a perioperative nurse, she works closely with our team to coordinate patient care, ensure patient safety and provide education to our patients and their families. Missy and her family live in Garfield. Together they enjoy boating and family time on Beaver Lake. Missy is also a newly certified scuba diver and looks forward to more time in the water. Maddie is our pre-operative and post-operative nurse. It’s Maddie’s smiling face that our patients see both before and after their surgery. She enjoys getting to know all our patients and putting them at ease throughout their surgical experience. Maddie received her Bachelor of Science in nursing degree in 2010 from the University of Arkansas and in 2014 became a certified Conscious Sedation Nurse. Ensuring our patients feel comfortable with their entire experience at Dr. Vanderpool’s is Maddie’s priority. Maddie and her husband live in Prairie Grove with their two daughters and boxer named Gaby. In her free time, Maddie enjoys spending time with her family, reading, and watching movies. Addie enjoys meeting and assisting all of Dr. Vanderpool’s patients. Her skills ensure that Dr. Vanderpool’s front office is functioning in an effective and efficient manner. Addie has the ability to coordinate with all our staff to make our patients’ experience here seamless. Addie moved to Northwest Arkansas at age 10. She enjoys playing soccer and spending time with her daughter and family. Trinity specializes in skin rejuvenation. This includes laser treatments, microdermabrasion, and skin peels, as well as medical grade skin care treatments. She enjoys seeing the transformation in her patients and making them feel good about themselves. Trinity received her CMA and RMA in 2013. She is currently working on her Associates degree in medical office management. She lives in Fayetteville with her two daughters. They enjoy outdoor activities, cooking, and watching movies.